Find out what methods of earning exist on Instagram. Read what kind of business will make it possible to earn a thousand US dollars or more on Instagram. It’s possible to earn money on Instagram and the profiles of well-known bloggers all over the world in this social network are evidence to this. Some of them choose the role of the average user, and some decide to build the whole business on this, which brings them earnings no less than the products of trademarks. Next, we will describe how you can earn on Instagram and what benefits the presented type of business brings. In this popular social network we are talking about absolutely different amounts of earnings. The main income of bloggers of the presented social network is advertising for advertisers, the prices for which each owner of the advertised public offers on his own. Someone is satisfied with only 90 cents for a post, and someone takes from 50 dollars and above, and may delete the post the next day. If you want your advertisement to be placed “forever”, you normally have to pay twice as much for it. If the page is really popular, and subscribers are alive (here is useful article about it), then you make a profitable investment in the promotion of your own business and all the money that you invest in such advertising will pay off fully. So, if you order advertising from a well-known Internet person, you can wake up really famous the next day, because your ad on the popular page will be seen by crowds of people. Useful article: “Where to order advertising on Instagram“? A good blogger has more than 10 clients per month. Respectively, earnings range from dozens to thousands of dollars, depending on the interest shown to a particular person. Baring this in mind, we can see that blogging on Instagram can be very profitable. We offer the opportunity to evaluate several basic ways of earning that bring real money. At the beginning it is enough to have several hundred subscribers to whom yo can offer a product or service. Having the right content and a competent approach to sales technology, success is almost guaranteed. How to earn on Instagram? The easiest way to earn money on your audience. Most of the Instagram users work in this niche. Most of them are specialists working in offline business: masters, teachers, lawyers, freelancers, photographers, trainers and instructors. If your specialization allows you to generate many interesting photos telling about your business or profession, then you are lucky – due to interest in them you can attract the attention of your potential customers. As you can see, each of these accounts highlights interesting subjects and earns good money on it, selling similar goods or services through websites. This is one of the simple and at the same time profitable ways to earn in this social network. Their products are offered in social. networks are mainly online stores and manufacturers who independently produce goods. At the same time, some users are engaged in the fact that they advertise such goods directly through their accounts. Find an ad proposal through one of the advertising exchanges on Instagram. Such venues, present various tools for searching and selecting advertising tasks and platforms, give advertisers and bloggers the opportunity to quickly find each other and place advertising in social media networks. Receive promotional offers directly. A good option, having a number of own shortcomings, expressed in the complexity of monitoring the large volume of orders and maintaining communication with advertisers. Take an affiliate link from the website where it is sold or registered in one of the CPA-networks that aggregates such products and services. For example, Admitad, and unobtrusively recommend this product in the post or profile. In general, this way of earnings requires a fairly popular account, which has at least 1000 subscribers. But in order to turn this direction into a successful business project, it will take long preparation, high-quality interesting content and an audience that will number dozens thousands of people. In this case, one advertising post can even cost hundreds. It all depends on the availability of advertisers for whom your audience will be targeted. Most often, the promotion of other accounts in social networks is used in profile companies. Their functions include creation of a profile, a plan for promotion and placement of content, as well as actual creation of the content, which will be interesting to users and attract new subscribers. Depending on the experience level of the social media agency you hire, the size of your business, the suite of services you require, and a bunch of other factors, professional social media marketing can cost you anywhere from $1,000 per month to $20,000 per month. Similarly the market for accounts sales work. Some companies buy ready-made accounts with an already formed subscriber base and update them for themselves and their goals, continuing to adhere to the subject matter of the account, but on their own behalf. These were the main ways of earning on through advertising on Instagram, which thousands of people tested in practice and recommend to many. You can try out earning real money on Instagram. Perhaps, you will be able to build a profitable business on this. The main thing to remember is that you yourself decide how much you can earn on Instagram, and your profit will be directly proportional to the energy invested in the development of the account and its popularity or for obtaining SMM-promotion skills. 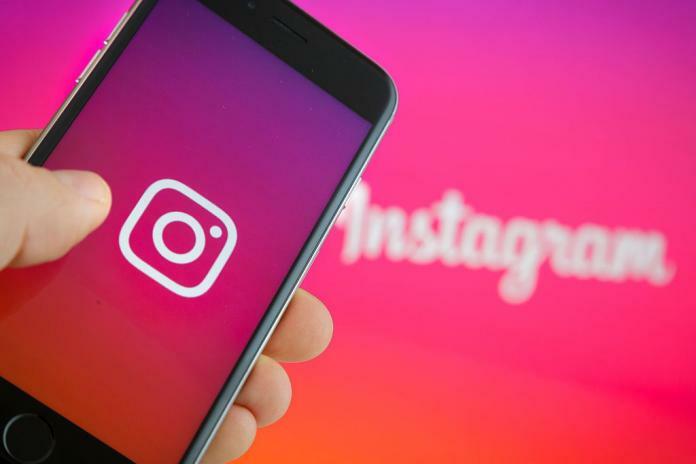 The simplest method to get good money, which is recognized by specialists – is to earn money on Instagram photos with ad placements. All the described methods to earn on Instagram receive very varied feedback. Use our recommendations to build income in social networks on one of the most famous platforms in the world and get the opportunity to receive as much money as you want. The listed ways of obtaining additional income are available to everyone. You need only patience and creativity to create really interesting content. Then the account will be popular and will be able to generate revenue. Act, and everything will turn out! Where to order advertising on Instagram? Videobloging is a sphere where you can express yourself, find fans, who admire you and earn good money. YouTube provides all the necessary tools for this, and most importantly - it gives you a huge audience that is in constant search for something new, interesting and useful.  Trying to understand why brand ambassadors are needed and how useful they can be to the business Many international companies have fully utilized influencer marketing mechanics in their marketing activities quite a while ago. Through the years we’ve seen handsome George Clooney sipping Nespresso and wearing Omega watch, Justin Bieber stripping down to his underwear to model for Calvin Klein and Keira Knightley with her long-standing relationship with Chanel – among many, many more. For the last several years you have probably heard the term “influencer marketing” a lot. It is no wonder as it was googled 21 000 times in 2017! In comparison - only 6460 in 2016 ( 325% increase over 12 months!). So what does this popular collocation mean, any ideas?